If anyone would like to take part in the Village History Project, please contact Margaret Jordan. We have a growing collection of family information about people who lived in the parish of Weare and are happy to help, if we can, with your research into your family. Contact Margaret if you'd like some help or want to know more. Did you live in the parish of Weare in the past? Were you evacuated here in WW2? If so, we should very much like to hear your memories of Weare. In March 2014, Margaret Jordan gave a brief presentation about her research into the history of the Revd Skey and showed some 'new' old photographs of the village and a map of 1815. Among the 'new' old photographs on display at the March meeting was this wedding photo. We've now found out that it is of of Albert Edward Ham and Nora Webber, taken in 1932. Nora came from Shepton Mallet to teach in Biddisham. They lived in Manor Cottage for the first few years of their marriage and then moved to Manor Farm after the death in 1937 of Albert's father Gabriel Ham.If you would like to find out more about the project, please contact Margaret Jordan 01934 732451 or Sarah Pettifer on 01934 732578. At the first meeting in January 2014, 35 people gathered in Weare Church Room. Most were interested in finding out more about the history of their own house and it was agreed that this would be a great start to knowing more about the history of the village. There was a special note made of the interesting ancient history of Lower Weare. Some old photographs were on display including a moving portrait of young Weare postman Ivan Day who died shortly after enlisting to serve in WW1. There are many interesting areas to research including family history, trades and professions, the village school, the history of our church, brick making in Lower Weare etc. Collecting more photographs of the village would be an important addition to the village history. 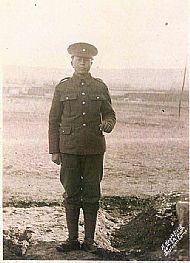 If anyone can help add to our collection of photographs we would be pleased to know. Views of the village, houses, people at work, weddings and family portraits will bring to past alive. Photographs can safely be scanned and returned. Helpful notes on how to research your family history or your house history were available. A number of fascinating documents relating to Weare in World War II (from Ailene Brooks). Click here to read more about this important time in our history. Mr & Mrs E C Jennings lived in Weare for 28 years, from 1909 to 1937. Mrs Jennings was headmistress of Weare School for that time. Her husband held a number of civic posts, and was postmaster in the village. Click here to read the newspaper article of their retirement and presentations. The presentation for Mr & Mrs Jennings was accompanied by a list of all the residents of Weare in 1937. Click here to see the list. Cattle Ailments - a couple of recipes (or receipts!) for cures for cattle ailments.